Here is a complete list of Patton Connectivity Products. Some of these items are special order only. Call 610-399-3911 for availability and discounted pricing. 1010BF MINIATURE LINE DRIVER EXT. 1010BM MINIATURE LINE DRIVER EXT. 1202F HIGH SPEED SYNC. MODEM ELIM. 1203F HIGH SPEED SYNC. MODEM ELIM. 2015FC-MT RS-422/449 TO V.35 CONV. 2018F-M RS-232 TO CURRENT LOOP CONV. 2085F RS-232 TO RS-485 INTERF. CONV. 2085F-25M RS-232 TO RS-485 INTERF. CONV. 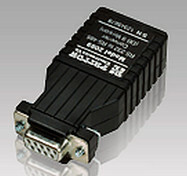 2085M RS-232 TO RS-485 INTERF. CONV. 2085M-25F RS-232 TO RS-485 INTERF. CONV. 2085MRJ11 RS-232 TO RS-485 INTERF. CONV. 2085MRJ45 RS-232 TO RS-485 INTERF. CONV. 222NF-25M RS-232(F) TO RS-422(M) CONV. 222NM-25F RS-232(M) TO RS-422(F) CONV. 222NSM-25M RS-232 TO RS-422 CONV. S PROT.